Product prices and availability are accurate as of 2019-04-21 17:12:11 UTC and are subject to change. Any price and availability information displayed on http://www.amazon.com/ at the time of purchase will apply to the purchase of this product. Author Bookstand is proud to offer Is That Love or What? 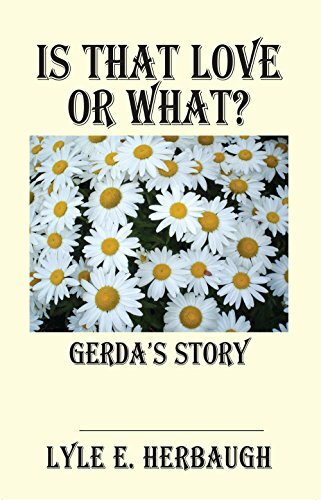 : Gerda's Story by Bookstand Publishing. Bookstand Publishing offers books by the best indie authors throughout North America and the world. Bookstand Publishing is dedicated to offering original content to a broad audience and promoting great authors, literacy, and freedom of expression. Is That Love or What? : Gerda's Story has generated a lot of interest and excitement and we think it would be an excellent addition to your library. Gerda was born in December 1938, in Wiesbaden, Germany. She was nine months old when Hitler invaded Poland and World War II started. From 1940 until May of 1945 her life revolved around surviving the war. During the nights, she huddled in the dark cellars and bunkers listening to the bombs fall. When the earth shook and the explosions were deafening, she clung to her mother and cried in fear. Following the war her family survived the recovery years when food was scarce and there was nothing to buy. In 1959 she met Lyle and they married in 1960. It is now 57 years later and she and Lyle are still married. This is Gerda s story. A story of survival, of service, of hard work and most of all, a story of true love.